When composing a photograph, there are a variety of techniques employed. Basics like the rule of thirds and leading lines can make an impact and improve your pictures, as well a technique called "natural framing." Composing a photo with a natural frame is a great way to direct the viewer's eye to your subject and add depth and dimension to the photo. It's a very easy technique to learn; you just have to know what to look for. A natural frame is created when you place a secondary object such as a tree or a door in the scene of a photograph so that it frames your main subject. It's really that easy and you have probably done it naturally yourself at some point. 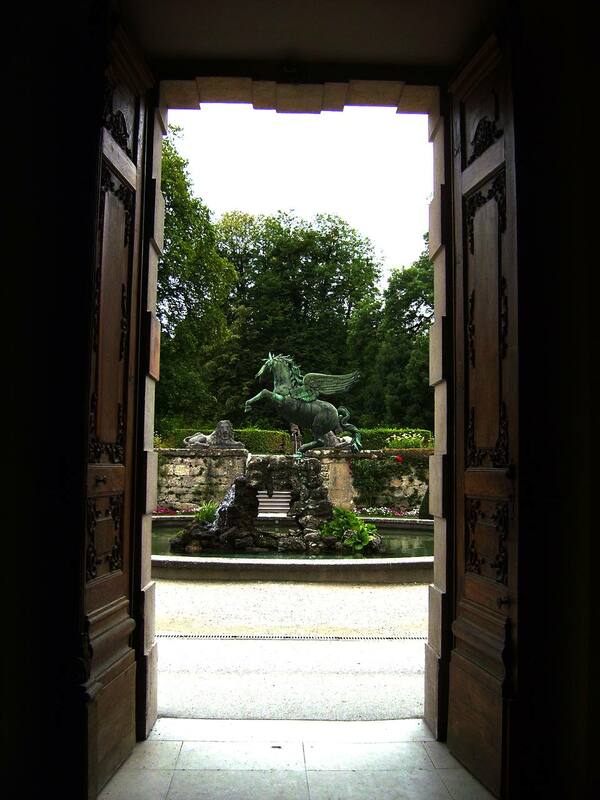 A photo of a statue in a courtyard is more appealing if there is an ornately carved doorway leading you into the picture. An outdoor portrait of a bride and groom on the veranda is more romantic with a few autumn leaves hanging softly in the upper corner. A still life of a flower arrangement is more inviting when it's framed by the afternoon window light falling on the table. A frame can be any object, shape or light that contrasts the rest of the image in some way that draws the viewer in, grabs their attention, and makes them see what you want them to see. Learning how to frame your images requires practice in pre-visualization. You need to be able to look around your scene and figure out what can make the photo better. Just as you seek out the subject of your photo, you need to seek out the secondary elements that can back it up. Frames are typically in the foreground and lead the viewer's eye to the main subject that is behind it. However, a frame may also be a shadow or shape on the wall behind your subject. Decide if you want your frame to cover all sides of the photo or come in from just one or two sides. The doorway and leaf examples mentioned above are both great for their intended purposes. Determine if you want your frame to be in sharp focus or soft and blurry. Both can be effective in different circumstances. Use f/stops to control the depth of field and achieve the desired effect. Give your frame a distinct shape and make sure it looks like you intentionally placed it there. It should be easy to visually separate the frame from the rest of the photograph. Avoid cluttering the photo. The intention is to make the frame stand out without becoming a distraction from the main subject. Study professional photographs and pay attention to the natural frames those photographers used. What effect do they have? Did they direct your attention to the right place? Natural frames are found everywhere in the world. As you begin to practice this composition technique, you will see them all around you. Natural Frames - Trees, branches, tall grass, flowers, rocks, and other elements in the natural world. Architectural Frames - Windows, doorways, fence posts, benches, sidewalks, and other man-made elements. Shadow and Light Frames - Light coming through a window, the glow of a flashlight or streetlamp, and other contrasts between shadow and light. Shape Frames - This one's really fun because you have to look close to find them. For instance, look through a tire swing to take a portrait or use a portion of a public sculpture to frame the building behind it.